..such as Kalo® a hair inhibitor to pre­vent unwanted body hair from grow­ing back, and Mila­gro a nail strength­ener as well F.A.S.T.® For­ti­fied Amino Scalp Ther­apy for the fastest grow­ing hair pos­si­ble. If you have Scalp and skin prob­lems like pso­ri­a­sis or crad­dle cap click here. Nisim® has cre­ated a prod­uct that has been clin­i­cally proven to con­trol exces­sive hair loss and regrow hair. Nisim’s prod­ucts are shipped around the world and also has dis­trib­u­tors in more than 30 countries. All of our prod­ucts are backed by a 100% money back guar­an­tee. You can try our prod­ucts risk free know­ing that we will refund your money if you are not sat­is­fied for ANY reason. Nisim Inter­na­tional is ded­i­cated to solv­ing your hair wor­ries, whether you have too much or not enough. Nisim Inter­na­tional devel­ops and man­u­fac­tures all of the prod­ucts it sells from a facil­ity north­west of Toronto, Canada. Nisim® has devel­oped a pro­pri­etary sys­tem for extract­ing the active ingre­di­ents from the herbs used in all of its prod­ucts. This sys­tem allows us to get the max­i­mum effec­tive strength from the herbs. We are so con­fi­dent of our prod­ucts that we back them with an uncon­di­tional 100% money back guar­an­tee. Many peo­ple ask us the ori­gin of our name — Nisim® actu­ally means “Mir­a­cle” in hebrew (the orig­i­nal own­ers of the com­pany cre­ated the name). 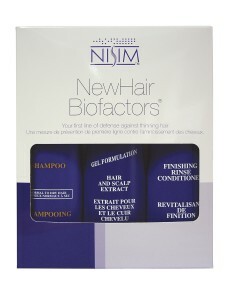 Nisim® began sell­ing the NewHair Bio­fac­tors® line of prod­ucts in 1993. These prod­ucts have been sold exclu­sively through hair salons in North Amer­ica. Nisim® cur­rently dis­trib­utes the NewHair Bio­fac­tors® line in over 30 coun­tries around the world. We are a pri­vate com­pany that has relied largely on the qual­ity of our prod­ucts and word of mouth to mar­ket our prod­ucts. We do not have the bud­get of the large drug com­pa­nies to adver­tise on TV and in con­sumer mag­a­zines, this does how­ever, keep our costs down. This allows us to bring you the finest prod­ucts avail­able at the low­est cost in the market. Nisim® began sell­ing the Kalo® Hair Inhibitor prod­uct in the spring of 1997. Kalo® has also been sold through hair salons and spas. Kalo® has been very well received in the mar­ket, so much so that there are many knock-off prod­ucts; even one of the large drug com­pa­nies has cre­ated a prod­uct to com­pete with Kalo®. Nisim® also man­u­fac­tures and sells a nail care prod­uct called Mila­gro® (Span­ish for Mir­a­cle). Mila­gro® was intro­duced on QVC® shop­ping net­work and per­formed extremely well. Mila­gro® is now sold through hair salons and nail boutiques. F.A.S.T.® For­ti­fied Amino Scalp Ther­apy. 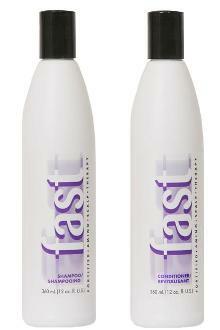 F.A.S.T.® is designed to grow your hair as fast as humanly pos­si­ble. F.A.S.T.® line includes a sham­poo and con­di­tioner as well as food suppliments. New– We now have a line of styling prod­ucts Kerte®. This line includes a styling spray and styling gel. These can be used safely with any of our other products. You can find so many won­der­ful prod­ucts at Nisim Inter­na­tional for your hair…I’d advise you to go look around their web­site and see for yourself! 1) Go over to Nisim Inter­na­tional and tell me a prod­uct which you would REALLY love to try. I also need you to do a lit­tle research about this com­pany, and tell me what you have learned! 2) Become a reg­is­tered mem­ber of Cool­Canucks! Leave me your Cool­Canuck username! 3) Fol­low @coolcanucks on Twit­ter! 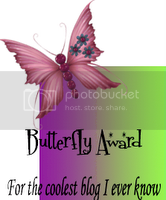 Cool­Canucks and leave me your twit­ter name! 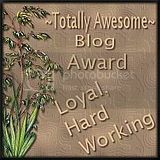 5) Blog or share this give­away on any open pub­lic forum and leave me the link to it! 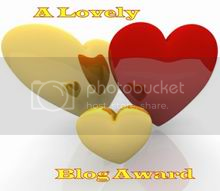 6) Post this give­away on your Face­book page leav­ing me your Face­book name. 7) Refer a friend to Cool­Canucks! Tell me who it is! 8 ) Show some Email Love! Email this give­away to as many friends as you want, and CC coolcanucks@gmail.com on it! 9) SUBSCRIBE to Cool­Canucks Blog (right hand-side) via email for 10 extra entries! (You must ver­ify the sub­scrip­tion in your email too, as I will check! Leave me which email addy you sub­scribed with in your comment! There will be 3 win­ners in this con­test, drawn at ran­dom for one of each of those fab­u­lous prize packs!!!!! NOTE: Each win­ner does not get all 3 pack­ages — One prize per winner. A BIG thank you to Laura and Nisim Inter­na­tional for spon­sor­ing this Cool­Canucks giveaway! Same email as one posted here. I am on my way to email y’all right now so please reply within 48 hrs with your Names and postal info, or another win­ner shall be chosen! 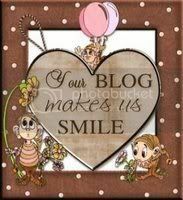 Thanks to all for your par­tic­i­pa­tion as always, and don’t hes­i­tate to enter all of 0ur other SWEET CoolCanucks.ca Bloggy Giveaways!